They say that nail polish is the new lipstick in terms of what we’re spending our money on during these tough economic times. Infact, for the first time ever…. 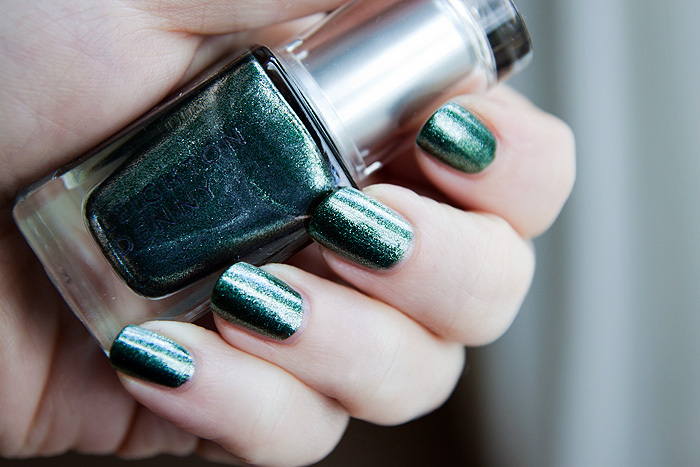 nail polish sales look set to overtake those of lipstick by the end of the year. And with brands releasing collections as beautiful as Leighton Denny’s new Temptation collection*, it’s not hard to understand why. Attention Seeker – Vibrant cherry red with added shimmer creating a deep and sophisticated, yet edgy look. Hypnotic – A teal blue with an exquisite taffeta appearance. Lilac Lust – A Lilac base tone with a hint of shimmer. 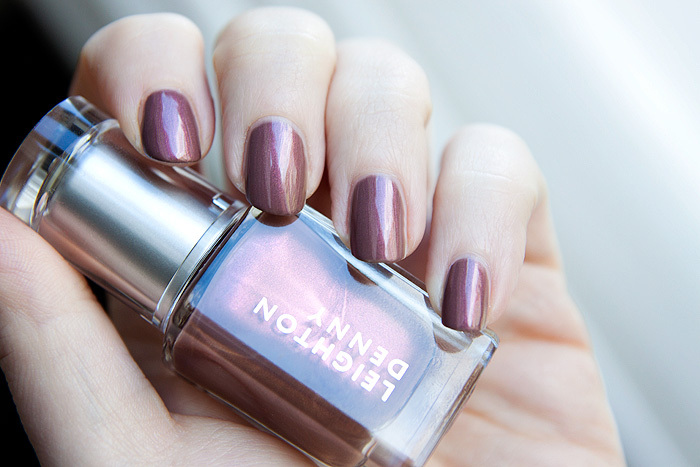 Mutual Attraction – Sophisticated smoky mauve with a burgundy shimmer touch. Tempt Me – A romantic dark purple with a metallic green undertone. All six shades apply smoothly and easily in just two coats, not one of these needed a third. A couple of them have a thinner-than-standard formula but most look practically opaque on the first coat. 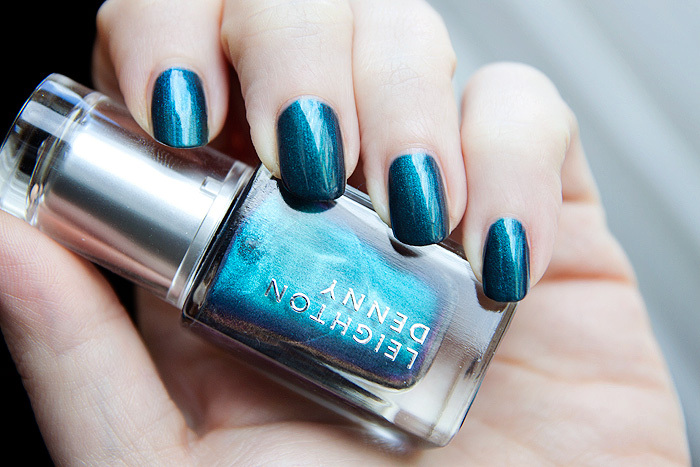 I love this time of year for jewelled shades and Leighton Denny have embraced the season, giving us punters exactly what we want. Neons for A/W? Sorry Butter London… but you’re not speaking my language this time. The stand-out shade, for me, from the Temptation collection is Mutual Attraction. I called it a couple of weeks ago as my favourite A/W nail shade and now that I’ve seen it in person… it exceeds my expectations, the shimmer is glorious whilst remaining somehow understated. If you want to stand the chance at winning the entire collection, the brilliant @URbeautique team are running a twitter competition. To enter, simply tweet them a photo of your nails with the hashtag #UR_tweet2win – you can find their Twitter account here. Competition closes on the 30th September, so hurry! 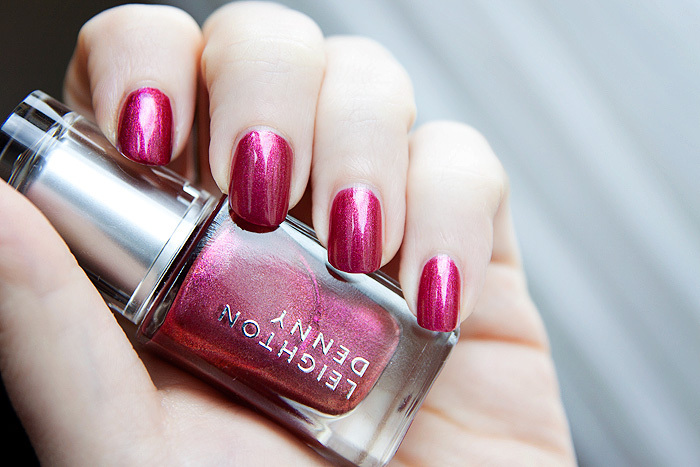 The Leighton Denny A/W 2013 collection is available to buy online at urbanretreat.co.uk, priced at £11 each. I scrolled down and went ‘ooooooooooooh’ when I saw the Mutual Attraction one too, it’s definitely the stand-out shade isn’t it and looks gorgeous with pale skin. Another one to add to my ‘want’ spreadsheet, you enabler you! Thanks for the lovely review. Wishing these were available this side of the great big pond. Mutual attraction is a stunner of a color and is exactly the color I’ve been imagining in my head. Your nails look amazing. Do you use anything to help them grow long and healthy? Thanks Tatiana, I just use any cuticle oil as often as I remember as they’re prone to drying out and peeling. To encourage growth, I use Dr. Lewinns Renunail. This is about as long as I can stand them nowadays though, I’ll need to chop them back this weekend! Mutual Attraction is really beautiful and my favorite as well, it would be a nice one to have when I feel like taking a break from my usual vampy colors. I did see BL collection recently and was wondering what was up with those neons. I felt like they had made a mistake and switched with Summer Holiday Bespoke Collection. Those are all gorgeous colors!